Clean Coal: Fact Or Fiction? The second presidential debate was almost entirely devoid of energy discussion, until now internet-famous Ken Bone asked the candidates how they would meet the nation’s energy needs while minimizing layoffs and addressing environmental issues. If only we could give a simple answer! Alas, as with most things energy, it’s complicated. There is no precise definition of clean coal. The coal industry’s main lobbying group claims the term was coined by Congress in the 1980s. It has since been popularized by the energy industry to describe a whole range of technologies, including carbon capture utilization and storage (CCUS). For the purposes of this post, we are going to talk about clean coal as CCUS. Put simply, CCUS technology captures carbon emissions from sources like power plants. That CO2 is then stored or used so it doesn’t enter the atmosphere. Projects in various stages of development all over the world use CCUS. So far, not well. Clean coal technology has not been widely deployed at a large scale in the U.S., and many clean coal projects have ended in failure. There are also ongoing debates about whether several common deployments of the technology actually reduce overall emissions. That said, there are a handful of projects coming online that look like they might be not only technologically successful but also financially viable, and many experts continue to say that ‘clean coal’ is a critical part of fighting climate change. 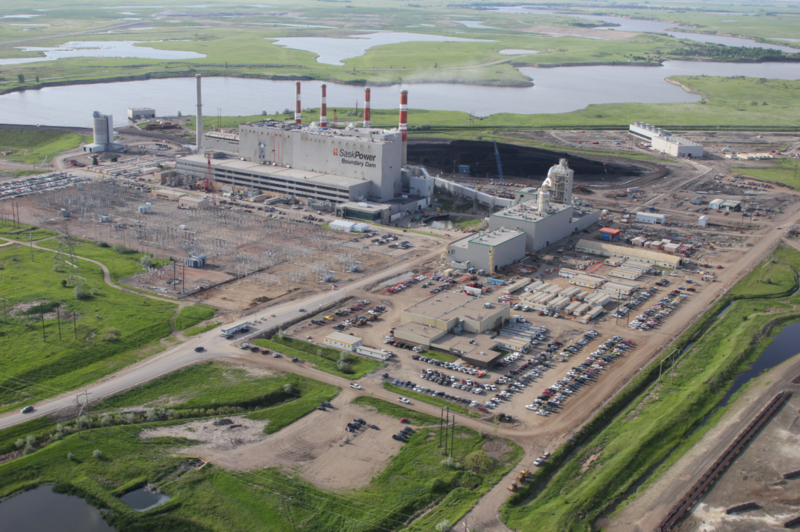 Boundary Dam Carbon Capture Project: This coal-fired generating unit in Saskatchewan, Canada is one of just two operating power plants in North America that use CCUS. The power plant was rebuilt to incorporate carbon capture technology and went online in 2014. After cost overruns and delays, SaskPower, the company behind the project, says its total cost was around $1.467 billion (CAD) and that Canadian government contributed $240 million (CAD) of that total cost. Kemper County Energy Facility: Coal gasification combined with carbon capture and storage will be used to control emissions at this plant, which is currently under construction in Mississippi. The project has been plagued by cost overruns running into the billions of dollars and is currently years behind schedule. The New York Times investigatedthe plant’s many failings in a July 2016 piece. Texas Clean Energy Project: This once-promising project has been shelved after the Department of Energy cut funding for it. The DOE made the final decision to pull the plug on the project in August 2016, after it failed to meet various milestones. The plant would gasify coal before burning it, and then use the captured carbon dioxide for enhanced oil recovery, among other things. The total project cost is anticipated at close to $4 billion. Petra Nova: The existing coal-fired W.A. Parish Generating Station, near Houston, is currently being retrofitted to capture carbon dioxide. Unlike most CCUS projects, this one, so far, is on schedule and on budget. The retrofit is is expected to cost $1 billion, which will be paid for, in part, by the sale of captured carbon dioxide to nearby oil producers, who use it for enhanced oil recovery. What’s the rub? Although the federal government does count enhanced oil recovery as permanent carbon storage, some life-cycle analyses show the overall carbon emissions may end up being higher. How much money have we spent on clean coal? The Department of Energy’s proposed budget for next year (FY2017) sets aside over $1 billion for coal technology research and development. Since 2009, the agency has committed over $4 billion dollars, including funds from the Recovery Act, to commercial-scale advanced coal projects. But out of the six facilities on the funding list, five have had financial problems. Will clean coal ever work? Experts from places like the International Energy Agency, Oxford University and the Clean Air Task Force say it must. Globally, coal is typically the cheapest, most readily available fuel—especially in developing countries—and coal consumption is expected to rise 18 percent by 2040. Without carbon capture, burning all that coal will likely blow through the 2 degree warming threshold agreed in the the Paris Climate Agreement. Renewable energy costs are dropping, and at least one recent study suggests the U.S. could reach 80 percent renewable energy by 2030 without substantial cost increases. But accomplishing that in the U.S. would require a Herculean political effort, and would face huge challenges in other countries as well. So, in summary, clean coal does not have a great track record of success. Getting to a place where it is cost-effective and deployable on a large-scale appears to be a ways off. But it’s probably too early to label it a false prophecy. There are some promising projects out there and money is continuing to pour into clean coal research, especially in China. Read about efforts in Wyoming to develop uses for carbon dioxide captured from power plants. Listen to our interview with the Deputy Assistant Secretary for Clean Coal and Carbon Management at the DOE. Also catch our interview with the director of the University of Wyoming’s Carbon Management Institute.